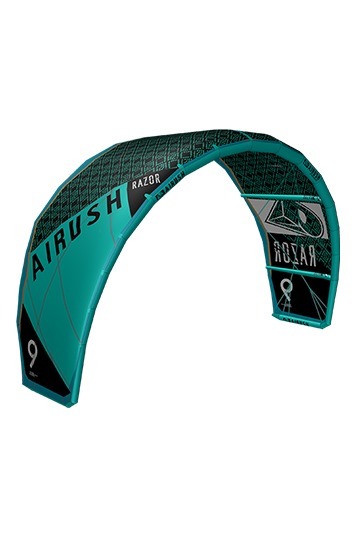 In its first year, the Razor has established itself as the leader in the new school C-kite movement. As a dedicated 5 line kite, the Razor draws C-kite enthusiasts, freestyle fanatics, and wave purists with its high-end performance. The Razor has even left its mark on the World Cup Tour, with two World Championship titles to its name, and has become the benchmark from which all other C-kites are judged. Developed with the help of our pro freestyle team members, Gisela Pulido and Alex Pastor, the 2012 Razor captures traditional C-kite power delivery in a high-performance, new school, 5 line C-kite. This year, the Razor exceeds expectations as the kite created and chosen by champions, delivering the highest level of performance within the reach of intermediate riders. The 2012 SMART Bar maintains its position as the definitive bar choice for all riders by integrating the industry leading Brain Quick Release with a fully adjustable length bar and new and improved features. Simplistic and highly intuitive the 2012 Smart Bar is highly tunable, safe and easy to use. As a dedicated 5 line kite, the Razor draws C-kite enthusiasts, freestyle fanatics, and wave purists with its high-end performance. Developed with the help of our pro freestyle team members, Gisela Pulido and Alex Pastor, the 2012 Razor captures traditional C-kite power delivery in a high-performance, new school, 5 line C-kite. This year, the Razor exceeds expectations, delivering the highest level of performance within the reach of intermediate riders. The first thing we noticed, when testing the Razor on its characteristics, is the boost. The boost is strong and explosive yet controllable. But the Razor has two settings, a wake-style and a free-ride setting. Choosing the freestyle setting changes the characteristics of the kite offering more steering-comfort, decreased bar pressure and the feedback is more subtle. So the freestyle setting makes the Razor a less aggressive kite. However, when placed back in the default wake-style setting the Razor is a true wake-style kite with a lot of power. Na het grote succes van de 2011 Razor brengt Airush de 2012 Razor uit. Het gevoel van de kite is veranderd van het vliegen van de kite op de stuurlijnen naar de powerlijnen. De 2011 Razor had nog weleens de neiging om te "back stallen" (achteruit vliegen), wanneer men de kite "underpowered" (een te kleine kite voor de wind) vloog. Dit is, doordat de kite nu meer op zijn powerlijnen vliegt, opgelost! De kite heeft twee opties om de powerlijnen te bevestigen; Freeride & Freestyle. De Freeride instelling geeft de kite meer depower en maakt de kite meer vergevensgezind. De Freestyle instelling geeft de kite een directer gevoel en een explosievere pop, dit is ook de instelling die ik gebruik. De 2012 Airush Smart bar is verstel bar van 45cm-55cm, daarnaast kan je door de extensies de lijnen op je eigen maat maken. Ik vaar al mijn kites op 20m lijnen, hierdoor krijgt de kite het directe en explosieve gevoel dat ik in mijn kite zoek. Mocht je vragen hebben contact me dan via facebook.com/baskoolecom of www.baskoole.com. What i like is that this kite turns really well for a 11m run and you handle pass of very easy. Mostly with larger kites it is more difficult to pass it, but with this kite is not the case.